When people talk about Spanish lotteries, a few different names usually come up, and Bonoloto is certainly one of them. Bonoloto is one of the most popular lotteries in the country of Spain for a number of reasons, including that it tends to offer very nice jackpots, which start at €400,000, and draws take place a whopping six times per week. But does that make it a great lottery that’s ultimately worth playing? 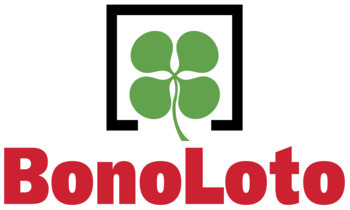 Bonoloto was established in 1988 and is one of several Spanish lotteries operated under the official Loteria Nacional brand. This lottery was designed to stand out from Spain’s other lotteries by having a lower ticket price and more weekly draws. Therefore, from its first draw on February 28, 1988, all the way up until March 23, 2015, its draws took place on Mondays, Tuesdays, Wednesdays, and Fridays. After this date, two additional draw dates, Thursdays and Saturdays, were added to the mix to give players an almost non-stop dose of lottery thrills. The Reintegro number element, which we will discuss in more detail below, was introduced in 1991. 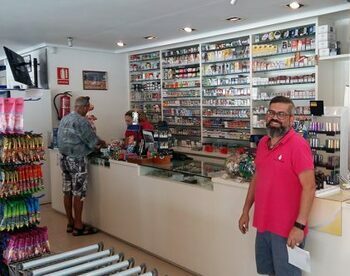 Many of the profits from Spanish Bonoloto, as well as Loteria Nacional’s other lotteries, help fund a wide range of projects around the country. These are often developments related to education, health, community, housing, and the preservation of Spanish culture. 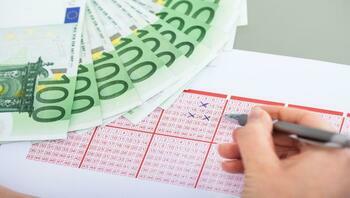 Bonoloto’s 6/49 format is one that’s common to many other lotteries around the world. What the shorthand 6/49 means is that players choose six numbers from a possible pool of 49 (which is in the range of 1 to 49). If your selection matches all six numbers that are drawn, you win the jackpot. However, Bonoloto has two extra numbers that are important to know about. If you’re familiar with Spain’s other big lottery, La Primitiva, then you’ll understand these two numbers immediately. The first is called the Complementario, which is a randomly chosen number that determines who the second-place winner is. To win the secondary prize tier, players must match five of the main numbers as well as the Complementario. The second number, called the Reintegro, is the last digit of the series of digits that together comprise your lottery ticket number. This number doesn’t determine any secondary prizes, but if your Reintegro number matches the one that is generated during the draw, you’ll receive a refund—which is what the word “reintegro” means in Spanish—for the amount you paid for your ticket. It is inexpensive to play Bonoloto, as an official ticket of two lines (the minimum required) within Spain costs only 1 euro. Bonoloto's minimum guaranteed jackpot is €400,000, but this is also a rollover lottery, so if no one wins the jackpot, it automatically rolls over to the next draw. And since draws take place six times per week, they can often multiply pretty quickly. Bonolotto’s odds are identical to most other lotto games using the 6/49 format: 1 in 13,983,816. While other 6/49 games with bigger jackpots come to mind, including Canada’s Lotto 6/49 and Polish Lotto, none of them has draws as regularly as Bonoloto. Therefore, Bonoloto is quite unique in this department. Besides, its odds are much better than those of its big brother, La Primitiva, as well as those of EuroJackpot (1 in 95,344,200) and EuroMillions (1 in 139,838,160). That being said, there are a few other European lotteries, such as Austria Lotto 6 (1 in 8,415,060) and Swedish Lotto (1 in 6,724,520), that offer even better chances of winning. Bonoloto draws occur six times per week (from Monday to Saturday) at 7 pm GMT in Madrid. This is considerably more frequent than almost every other lottery we’ve ever come across. But why not on Sundays, you ask? Because even the biggest lottery addicts need a day to rest! All winnings regardless of size are awarded as lump-sum cash payments. Whether or not your Bonoloto winnings will be taxed depends on how much you won. If you won less than €2,500, then you don’t have to pay a cent in taxes—at least within Spain; your own country may still tax you. If you win €2,500 or more, then you’ll be taxed 20%. If your country also taxes lottery winnings, then you might have no choice but to pay two taxes, so look into this before you decide to buy a Bonoloto ticket. If you live outside of Spain and want to give Bonoloto a whirl, you can do so through a number of online lottery services such as lottery betting sites or lottery ticket agents. These types of companies make playing lotteries from all over the world quick and convenient, as they take care of all the hassle involved. All you need to do is sign up, choose a payment method, deposit some funds into your player account, and you’re good to go. Many sites will claim winnings for you and even deposit secondary-tier winnings directly into your account. How’s that for hassle-free? Spanish Bonoloto – Is It Worth Playing? The Spanish Bonoloto lottery is a fun, not-so-little lottery that offers pretty good odds of winning and jackpots that, while not the biggest, would make anyone scream. The fact that its draws take place six times each and every week creates an almost non-stop atmosphere of excitement and fun, and the cheap cost of an entry ticket means you can play regularly with no guilt attached. As a result, it’s got our stamp of approval. I play both this and La Primitiva pretty often and cant' decide which I like more but i do know that I love the Complimentario and Reintegro numbers! Both have helped me win over the years.